Ahab, the king and his wife Izabel very unsecured for their kingship” and plotted to kill Ilyas a.s. Therefore Ilyas a.s with command of God commissioned to emigrate to Be’arsaba. When hazrat Yunus a.s was a child Ilyas a.s lived in the house of his mother for six months and at that time Yunus a.s died. His mother pleaded hazrat Ilyas a.s to pray God and to bestow him with new life. Ilyas a.s prayed and Yunus a.s was bestowed with new life again. Prophet Alyasa a.s.
Prophet Alyas’a a.s bin Shanat a.s who is also one of the messengers of Bani Israel invited the people to the religious laws of Hazrat Moosa a.s , cured the sick people, gave life to dead and also solved many other problems. In Hebrew he is called Alyasha or Elisha and in Arabic he is called Alyas’a. He appeared as a prophet in the year 1056 B.C. He was among the students of hazrat Ilyas a.s who granted him the trusteeship of messengers. They passed together the river of Jordan. Later he witnessed the ascension of hazrat ilyas a.s to the heaven. Just like hazrat Moosa a.s.he split the river when he hit the river with hazrat Ilyas a.s turban. 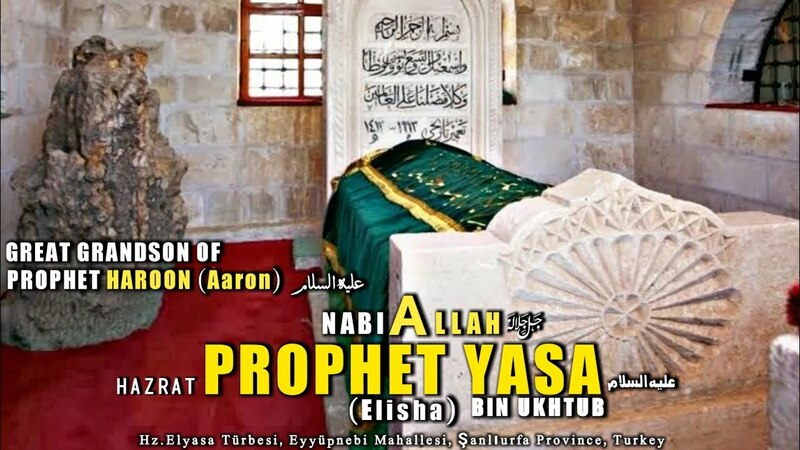 The students of hazrat Ilyas a.s sighted the miracle of hazrat Alyas’a and comprehended that he is the successor of hazrat Ilyas a.s.
At the time of his death the king of Bani Israil known as Yahavash visited him bedside to take advice about his successor. Alyasa ordered to bring some arrows and a bow. He put the arrow on the bow string and told Yahavash to put hands on his hands and shoot the arrow and to follow wherever it proceeded through which he would overcome his hardships and rule as the king of Damascus. Yahavash shot the arrow three times. Alyas’a said that this is the sign that three times he would dominate them. Saying this he died.